Dropbox has a great feature called Camera Upload, where you can automatically upload pictures from your phone, making life for lazy people like me easier. The problem is that I take so many pictures with my phone that the folder ends up with a huge amount of files, making the task of browsing and viewing them slow and annoying. 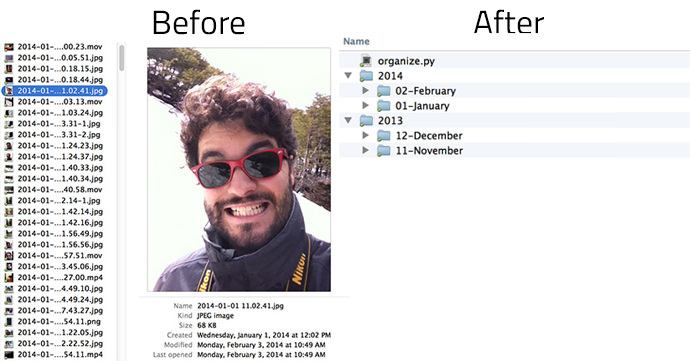 To fix this problem, I created a python script that will automatically organize pictures inside folders Year > Month.